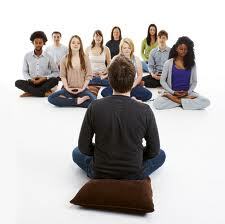 Mindfulness Training is open to all ages and abilities. You can sit in a chair, cushion or even lie down to practice. We make it easy. For detailed information about what a M.A.T. 8 (MBSR) Class is like click HERE. All inclusive: Expert Instruction, Group Support, All Materials Provided, Downloadable Resources: Guided Meditation, Ebook, Journal Tracker, All Day Retreat. Small Class Size – Space is Very Limited – Register Early to Save Your Place. Class Materials: expert instruction, downloadable resources: home-practice guides, mindfulness practice tracker journal, homestudy ebook; chairs, cushions, mats, etc. provided. Wishing you many mindful moments. I am happy to answer any questions you may have. Please Call, or Contact me below.